From warehouse designs and system planning to providing equipment and supplies, we can maximize your throughput and productivity. Keeping up with technology innovation and trends to manage your warehouse operations can be challenging. Equipment Depot can help. As Warehouse Solutions consultants, we take a holistic approach to solving operations and supply chain complexities. We blend our in-house expertise with our network of industry partners to provide the latest technology and the right mix of equipment. Our goal is to provide an integrated warehouse solution engineered to increase storage space by up to 60%, improve productivity and decrease costs while enabling you to scale your business for future growth. Drawing from industry knowledge and material handling experience, our team helps you improve throughput, enhance efficiency and reduce warehousing costs. Equipment Depot consultants offer free site evaluations to uncover ways to streamline your operations and optimize warehouse storage space. For businesses with multiple locations, our EQ ONE™ services simplify fleet management by providing one source for all your equipment, parts and service needs. Concerned with maximizing throughput, inventory control, and automation? We break down every aspect of your supply chain and develop process improvements to save you time and money. 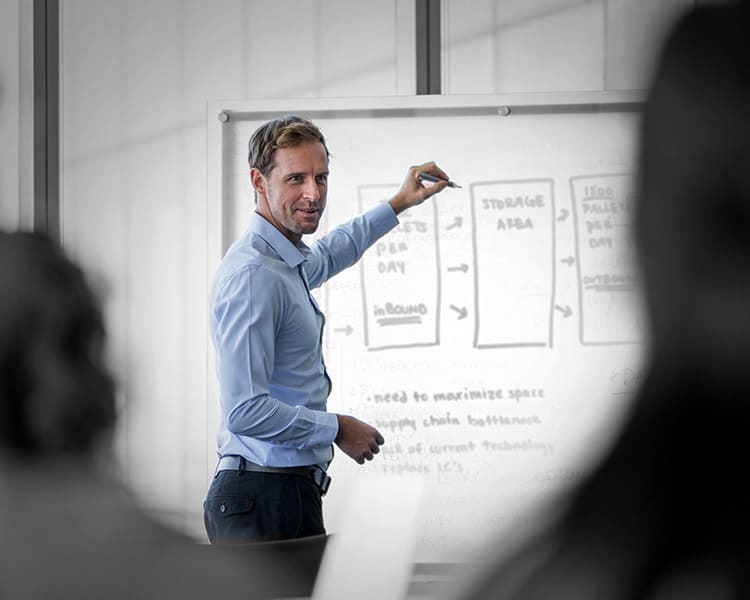 Our team of experts from warehouse systems engineers to project managers along with intralogistics and software experts will consult with you to provide the best plan for your specific needs. We can also redesign your existing warehouse to help you increase throughput and productivity within your current space. 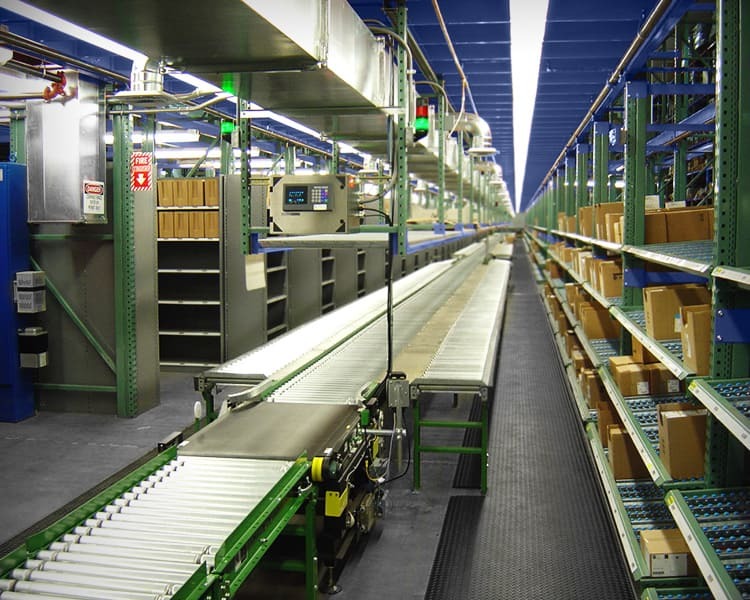 Take control of your warehouse with fully-automated and semi-automated systems. Automated Guided Vehicles (AGVs) and automated systems increase inventory pick-up, pallet handling, pallet wrapping, product tracking and barcode scanning. Add Radio-Frequency Identification (RFID) with transponder technology to manage your inventory, storage, and overall product movement. Smarter, streamlined processes will make your supply chain more efficient, reduce labor costs, and increase productivity. The right mix of equipment is critical to an optimized warehouse. We provide a vast range of industry-leading equipment, conveyors, automated storage and retrieval systems (ASRS) and other warehouse supplies to fit any solution. Our team will assist in integrating your order fulfillment technologies with your Enterprise Resource Planning (ERP) systems as well as provide the latest Warehouse Control Systems (WCS). This approach will allow the Warehouse Management Systems (WMS) to communicate to your lift equipment for better operational tracking and control. Staying on schedule and on budget is our priority. The Equipment Depot team will build the project plan and manage the coordination, preparation and implementation of your warehouse solutions project throughout the entire process. From pallet racks to mezzanines, and conveyors to cabinets, we provide complete storage systems and supplies for all your warehouse needs. No need to spend countless hours shopping multiple sources, we have already done the work – saving you time and money. Contact one of our warehouse solutions specialists to help with your next warehouse supplies order.